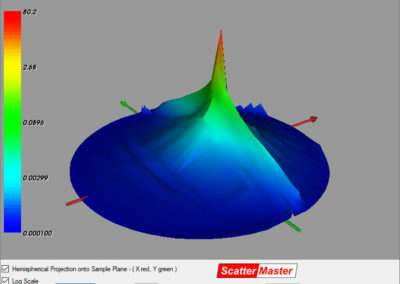 We are worldwide distributors for ScatterMaster’s ScatterScope4 scatterometer. 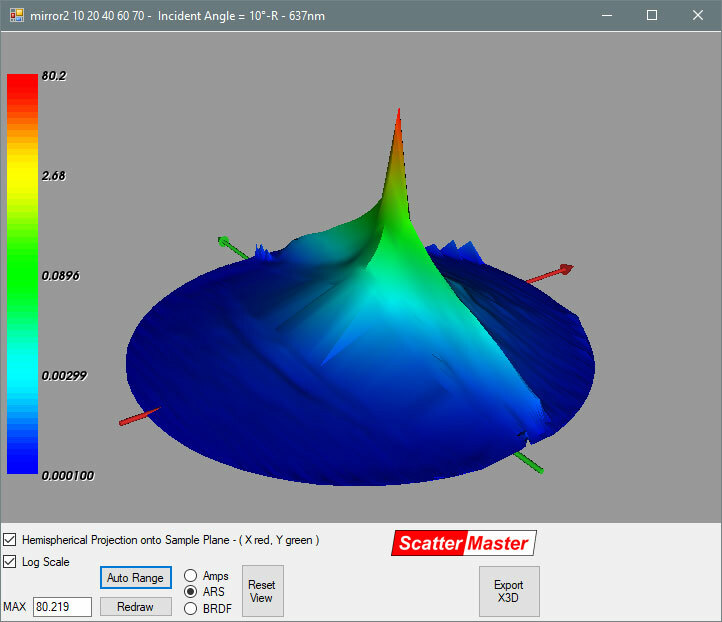 ScatterMaster is renowned for the accuracy and precision of their equipment and their products complement TracePro by providing accurate surface scatter measurements. 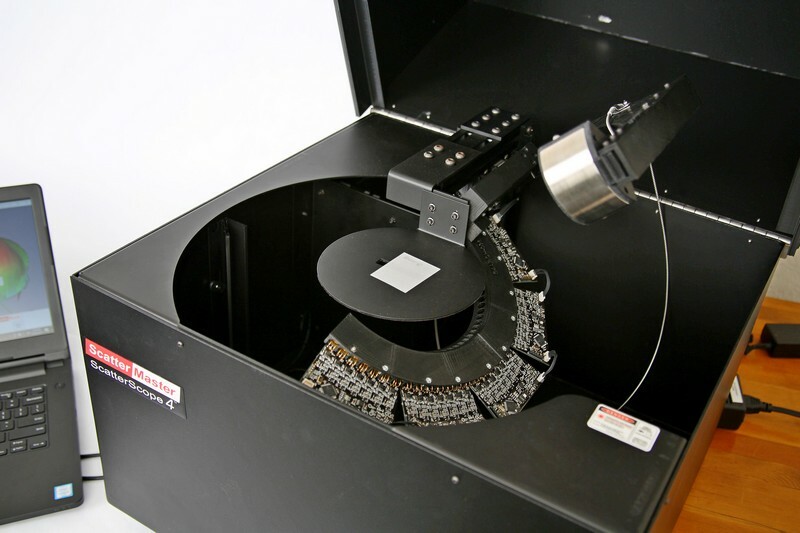 ScatterScope4 ushers in the next generation of high-speed scatter metrology equipment. 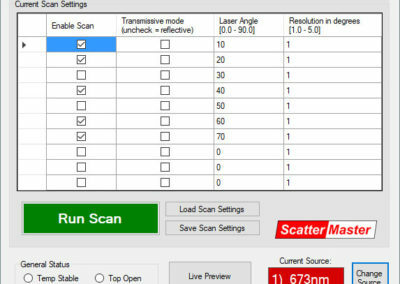 Operating in both reflection and transmission mode, the ScatterScope4 completes a full hemispherical BSDF measurement scan in under a minute! • Data is displayed in either BSDF or ARS units. 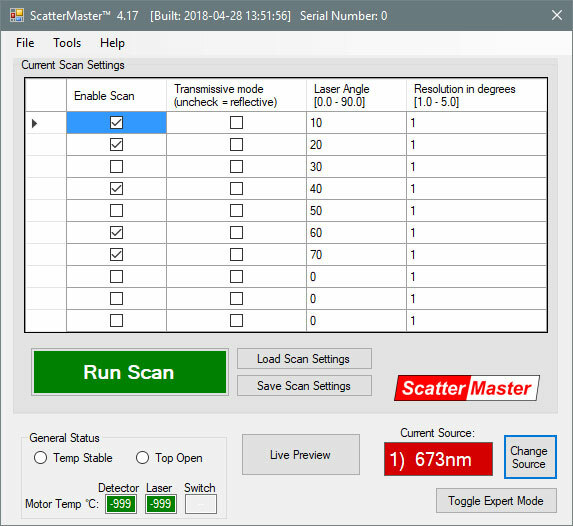 A key feature includes programmable scans which sample the reflective or transmissive hemisphere tighter than 5 degrees and less than 0.6 degrees near the specular beam (with the Beam Profiler option). 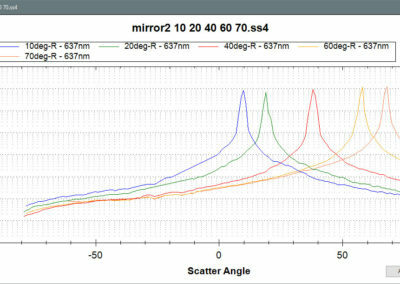 Standard units have a 635 nm source, but the instrument is available with other wavelength sources of 473, 532, 635 and 980 nm. 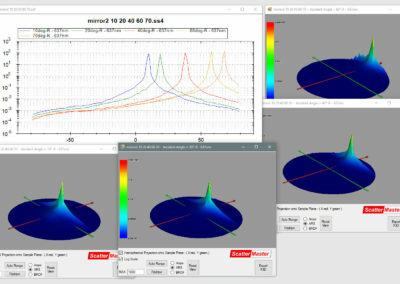 Another top feature: the dynamic range of this scatterometer exceeds 10 decades of magnitude with a noise floor of about 10-6/sr. 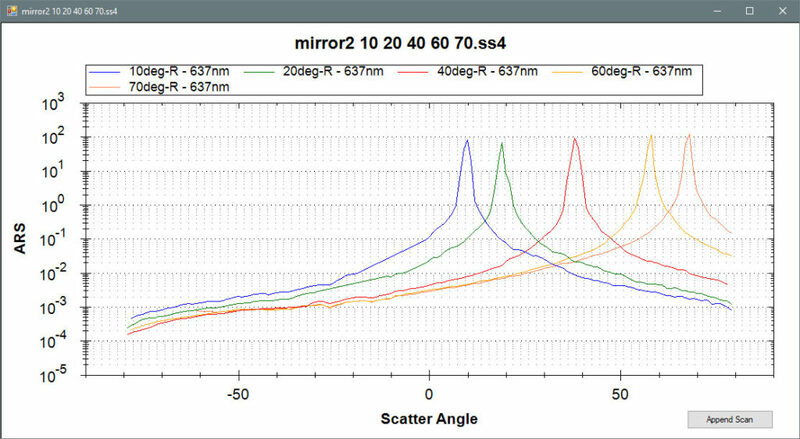 This makes the device capable of measuring most optics, but not polished Si wafers. 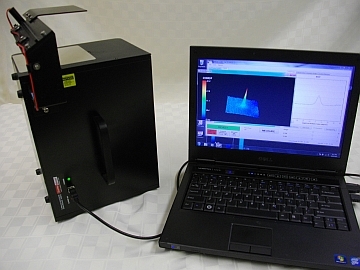 Measurement of any incident angle up to 75 degrees from the surface normal can be achieved. 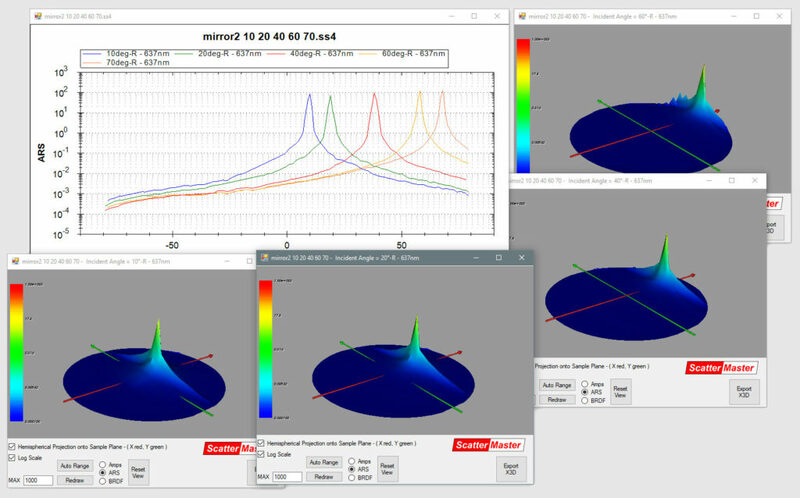 Batch scans are programmable for different wavelengths and incident angles.